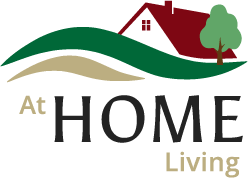 At Home Living is an adult foster care services company committed to serving people who have disabilities and challenges associated with mental health, brain injuries, intellectual or developmental disabilities. Additionally, many of our homes are handicap accessible allowing us to offer a comfortable home environment to meet everyone’s needs. We provide adult foster care services in a cozy home environment. Our residents feel comfortable and secure while living in a setting that’s tailored uniquely to them and their needs. We staff our homes 24/7, and we ensure each staff member delivers personalized, person-centered services. While residents are with us, we aim to help build self-esteem and true independence. It is not enough for our residents to live—we want them to thrive! Truly, it is our goal to take part in helping our residents reintegrate into the community. We do this by delivering caring, comforting, supportive, active lifestyles. It is extremely important to us that our residents feel completely comfortable with their room, their house-mates and their community-at-large. We go to great lengths to personalize our interview and placement process so that we can match the right personalities among both roommates and care providers. Contact us today to set up an informational meeting. We would be honored to help you find an adult foster care setting that truly feels like home.